we had to come to go to my husbands work place for resident permit renewal but the ministry here took almost 3 months to renew the visa and now he has lost his admission to school. Please pray they should take him without cancelling his admission or demand to pay the fees again. Much thanks, I will appeal to God for your child. [url=http://www.hireessaywriter.com/pay-someone-to-do-essay]Do My Essay[/url] on the off chance that you might want to know. Don't hesitate to make inquiries and don't dither to apply for help in the event that you require it with your exposition. 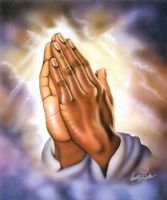 Want to join you in prayers at this time that your child may be accepted back to school. Mary mother of God pray for the child to be accepted back to school.